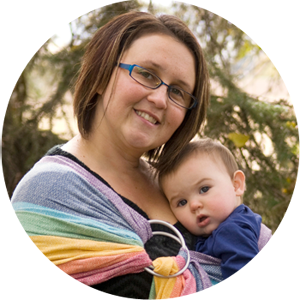 This spring, not long after my daughter was born, I had the absolute pleasure of meeting one of the sweetest WAHMs (local to myself, Alberta Canada) that has been creating nursing covers/ponchos & baby carriers for the past 2.5 years (and running a nursing supply store for the past 6). Mariela is an amazing mama of four, a registered nurse, talented seamstress (owner of UCHI Ltd.), inventor of the Neonatal Kangaroo Care Wrap & just a really awesome lady (and very passionate about what she does, and helping moms)! She was kind enough to let me review her Italian Mesh Water Ring Sling Carrier & also let me give one away to one of my lucky fans! 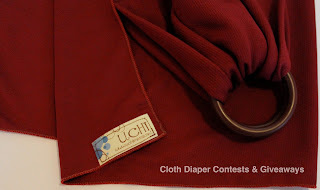 It is a beautiful mesh jersey with just a hint of stretch, a fine pattern (baby's fingers won't get caught) and is non slippery and non irritating to the skin (very soft). The shoulder style is a gathered design for a better fit and weight distribution. The sling is made with cast resin rings which have been industry tested to 250 lbs. Rings are secured in place by three rows of stitching. You can carry baby on the front, hip or back. Safe for babies in the water from about 8lbs up to 35lbs or up to 26lbs outside of water on dry land. 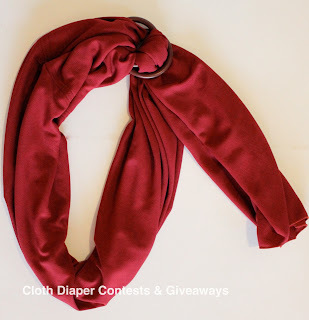 Whether you already love baby wearing or not, I have decided ALL mamas should have one of these! 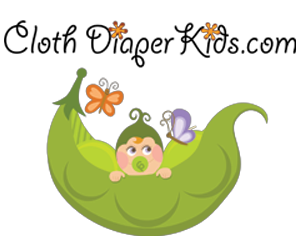 I seriously don’t know how I could function without a carrier now that I am chasing a toddler and have a small baby (sigh, I can no longer call her newborn). Two big reasons I love the idea of a water carrier: Shower? What’s that? Oh ya something I get every now & again with a new babe. This sling is perfect for safely taking a shower with babe (instead of waiting until midnight) when toddler is napping or gone to bed and baby is still awake. And second, I have a toddler who absolutely loves water! Swimming pool, beach, spray park, sprinkler, you name it and she loves it. 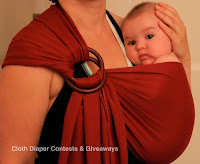 Now I can safely & hands free (mostly) stay with her wherever we are playing this summer with baby strapped to me in something that is super lightweight and fast drying (and really gorgeous too)! The pictures I have just do not do this beautiful sling justice. I have tried it in the shower, at the pool & at the spray park (and sadly have only pictures at home to show you). It is very supportive considering the lightweight material, with just a wee bit of stretch to it. I never found it to slip at all and rarely had to adjust it. It is quick to put on (and off), was really comfortable to wear and most of all baby LOVED it, especially in the shower (she snuggled right up, it was too sweet)! Not sure where I loved it best. It was extra helpful to have in the swimming pool, and never really occurred to me I could shower with it, but wow what a great idea that I plan to use ALL the time now. The material is soft, light & still beautiful too (who knew mesh could be beautiful haha). A must have for any mamas spending time outside in the summer to keep baby cool out of the water and yet also enjoy all things wet & fun at the spray parks or water parks during the hot weather. And camping, what a great idea to take to the lake or showering at the campground! Mariela has also started selling her water slings (and ponchos) in Cancun Hotels. I took my first daughter to Mexico when she was around 8months and had I known these existed would have purchased one for our trip for sure! I hope you have found my thoughts helpful! Please feel free to fire me a message with any questions about my experience with the sling or for specific questions you can contact Mariela directly. 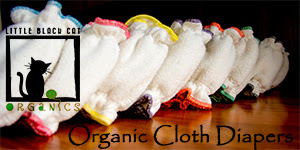 Be sure to visit her on her website or her facebook page and follow her on twitter. 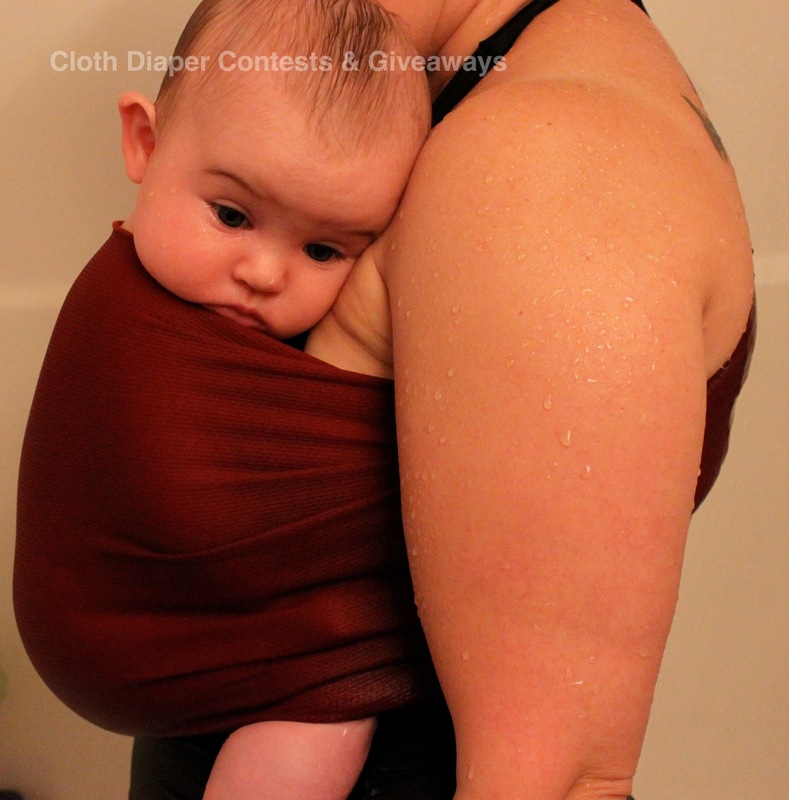 Enter to win your own Water Sling below!